That’s because tomorrow is the day we’re apparently going to get the announcement from the Louisiana Department of Justice on whether there will be charges brought against Baton Rouge police officers Blaine Salamoni and Howie Lake in the July 2016 shooting death of Alton Sterling, a story everyone is by now familiar with. We heard the rumor this morning from a source at the State Capitol, but nobody from the Attorney General’s office wanted to confirm anything. But the AG has a meeting set up with Sterling’s family tomorrow, and the story is everywhere. 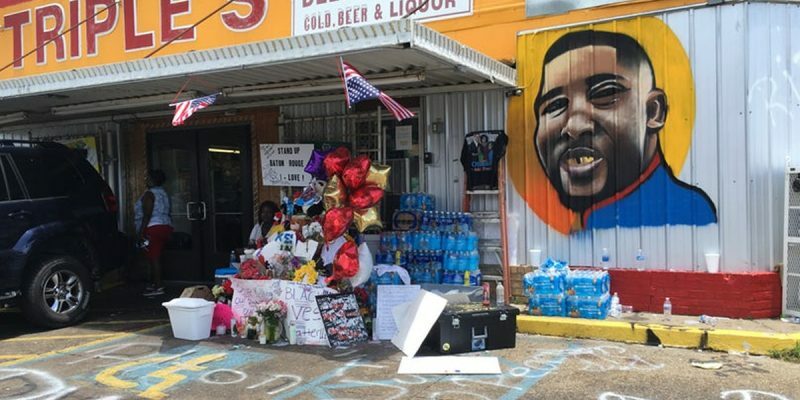 Leaders with the Baton Rouge police and State Police have been notified that Louisiana Attorney General Jeff Landry is expected Tuesday to announce his long-awaited decision about potential criminal charges against two police officers in the Alton Sterling case, according to law enforcement sources. L. Chris Stewart, an attorney for the Sterling family, confirmed that family members will meet with Landry Tuesday at 9 a.m. in Baton Rouge. A spokeswoman for the Attorney General’s office declined to comment. Landry took over the case last May after the U.S. Department of Justice declined to bring federal civil rights charges against the two white police officers, Blane Salamoni and Howie Lake II, who were involved in the fatal shooting of Sterling, a 37-year-old black man, in July 2016 outside a convenience store. In recent months, there have been occasional calls by Baton Rouge elected officials for Landry to finish his investigation, arguing people in the city are anxious to hear his verdict. But Landry has defended his process, saying he needed to be thorough in his own review of whether the officers should be charged under state law. They’re taking the day off at the AG’s office tomorrow, per a department-wide email, in preparation for what could become a security issue. No word yet on whether the Louisiana legislature is going to take a powder as well; whatever demonstration might ensue as a result of the news coming down could well impact the Capitol. Needless to say, they’re not going to have charges brought against Salamoni and Lake. Everybody knows this – last week when the NAACP threw a dog-and-pony show outside of Baton Rouge City Hall to make demands over the Sterling case they didn’t even ask for charges; they demanded the officers be fired. Arthur “Silky Slim” Reed, who has clung tightly to the Sterling case as a means of political and cultural relevance, hijacked the microphone at that event to make a demand for charges but that was it. And if there were to be charges, there wouldn’t seem to be any reason Landry would close the office for the day – or implement security protocols at the office going forward after Wednesday, when the employees go back to work. The State Police were also mobilizing additional manpower ahead of Tuesday’s announcement. A law enforcement source said the agency was bringing in a mobile field force normally assigned to the northern part of the state, with even more backup on standby. Some troopers were being told to pack eight days worth of clothing. Baton Rouge police, meanwhile, planned to begin so-called “protest operations” at 6 p.m. Monday, according to an agency email, seeking to avert a repeat of last summer, when protesters began to gather the night before federal authorities announced that neither officer involved in Sterling’s shooting death would face civil rights charges. Commanders within the department received an email saying a press conference had been scheduled Tuesday to announce the decision. The bet here is this is much ado about very little, as we’re two years on from the Sterling incident and there isn’t much of an appetite for any real civil disturbances over an old case everybody has already digested by now. But one never knows – by August of 2016 we thought the Sterling business had died down and then Gavin Long descended on Baton Rouge to deal “retribution” and death to members of the city’s law enforcement community. Be careful out there tomorrow. Next Article Is Steve Scalise About To Become The Speaker Of The House?